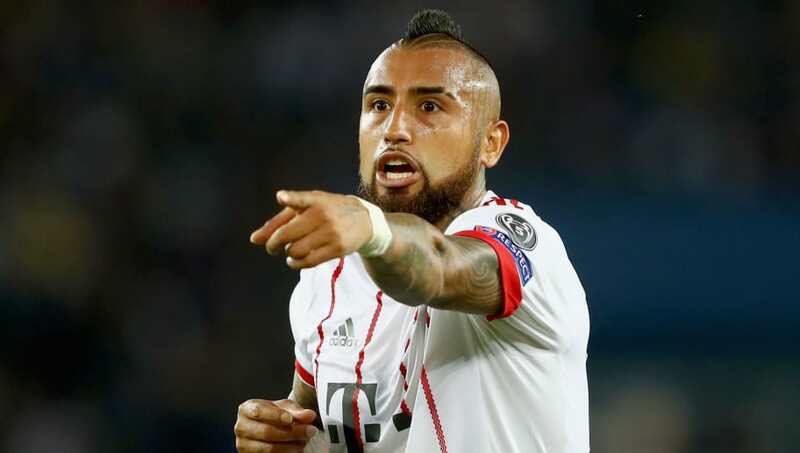 Bayern Munich star Arturo Vidal is set to go under the knife after suffering a freak injury in training, where the Chilean had to be escorted off a practice pitch by Franck Ribéry and the club's goalkeeping coach, Toni Tapalovi. It is claimed that the 30-year-old pulled up midway through a ​Bayern training session on Sunday and was complaining about an injury to his right knee. Vidal was eventually taken away on the back of a golf buggy and ahead of the Bavarians' DFB-Pokal match against Bayer Leverkusen on Tuesday, manager Jupp Heynckes confirmed that the self-inflicted injury requires surgery. "Arturo tripped without any contact from anyone and now has a loose body in his knee joint," Heynckes confirmed on Monday, quoted by Marca. "He now needs a small procedure and will be out of action for the time being. "What we know though is that Arturo is a fighter and I'm confident about his recovery." The German outfit are yet to give an exact timeline on when Vidal is expected to return, but early speculation suggests that the midfielder will be unavailable for Bayern's Champions League semi final match against ​Real Madrid. Vidal was on the brink of returning to Bayern's squad after being forced to miss a month of ​Bundesliga action, including their title-deciding match against local rivals FC Augsburg, where Heynckes' side have scored 15 league goals in just three games.